FIABCI organizes World Prix d’Excellence Awards annually since 1992 to recognize property projects which best embodies the excellence in all real estate disciplines. The Award illustrates the idea of providing society with the optimal solution to property needs. The FIABCI World Prix d’Excellence Awards has been recognized as the “Oscar” of the property and real estate industry in the world and developers are aspired for the awards. Affordable Housing Category: A project by a private developer or public sector. The building must adhere to the affordable housing criteria and guideline provided by the government. Environmental (Rehabilitation/Conservation) Category: A project that rehabilitates an environment or to conserve existing environment, ie Ex-mining land, polluted river, land fill, land that has been damaged severely by industrial use, marshland destroyed by deforestation or such similar damaged land. Heritage (Restoration/Conservation) Category: Any building that is identified for Heritage Conservation or Preservation by the relevant authority is restored to its original condition as best as possible. The building after restoration can be for any usage depending on the owner. The same building may enter for more than one category. The owner may decide to enter only for Heritage Category, then he must answer the questionnaire for Heritage Category. If the building is used as a hotel, the owner can enter the building for the Hotel Category and the Heritage Category, and be judged under both categories, Heritage and hotel. Hotel Category: Hotel Building with Rooms and Serviced Apartment that is leased out as a Commercial enterprise. Industrial Category: For industrial building, industrial parks, technology parks, warehouse, factory, workshop, etc. Master Plan Category: This is a Planning Category on how the land usage is planned. A development concept plan must be approved by relevant Government authority with at least one phase completed. Mixed-Use Development Category: A single project or development that comprises of not less than three components of properties where those properties are physically and functionally integrated with covered pedestrian connections. For example, a development that blends residential, commercial, office, and retail uses. Office Category: For office buildings and office parks. Public Infrastructure/ Amenities Category: Project exclusively financed and developed by public fund, ie government building, hospitals, road, bridges, airport, stadium, etc. Purpose Built Category: For project/building that does not comply with any other categories, for instance, hospital, airport, bus terminal, university and school buildings etc. Funding for such project is from the private sector and its profit consideration is an important factor. Residential (High Rise) Category: Apartments, condominiums (17 storeys and above). Residential (Mid Rise) Category: Apartments, condominiums (above 5 storeys and below 17 storey). Residential (Low Rise) Category: Housing estates, housing complexes (5 storeys and below). Resort Category: A resort is a place for stay and relaxation or recreation attracting visitors for holidays or vacations. i.e. Beach Resort, Hill Resort, Ski resort, etc. A self-contain resort provides most of a vacationer’s requirement while remaining on the premises, such as food, drinks, lodging, entertainment, recreation and shopping. Retail Category: Mall, shopping centres, hypermarket, etc. Sustainable Development Category: For energy saving project, ie save energy feature, building allow more natural lighting, conserve or harvest rain water for use. All submission will be judged in 2 tiers, firstly by Judges and secondly by Oversight Panel; who are experienced professionals and experts in Real Estate Industry from all over the world. Judges are to abstain from judging the entire category with projects from his/her home country to ensure the integrity, transparency and unbiased of judging of the Awards. The entire judging process is scrutinized by an Independent Auditor. 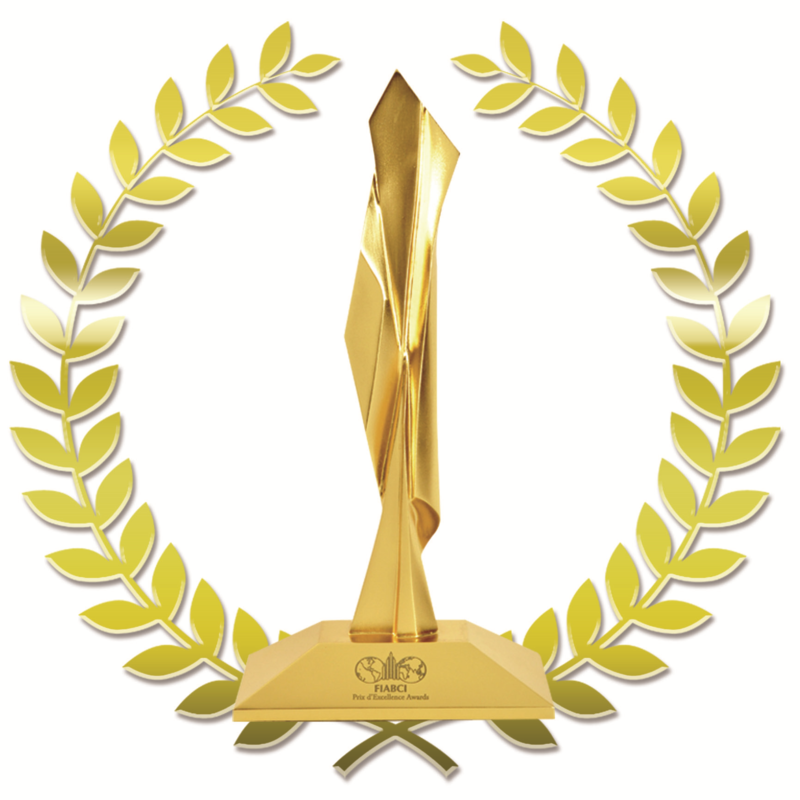 World Gold Winners and World Silver Winners will be selected from each category. The Award Presentation Ceremony and Dinner will be organized in Dubai, United Arab Emirates in conjunction with the 70th FIABCI World Real Estate Congress in May 2019, hosted by FIABCI-Russia.